Motivation to lose weight is a battle for the mind first and foremost. Many people will make a new year weight loss resolution but end up failing in the end because of lack of commitment and motivation. There are a couple of reasons for this and those reasons involve lack of faith, resistance to change, family pressures, work pressures, and attitude. Each of those pressures will need to be addressed in order to get motivated to lose weight this 2014 New Year and to STAY MOTIVATED until you have reached your goal weight. "Beloved, I pray that in all respects you may prosper and be in good health, just as your soul prospers." ~ 3 John 1:2 With everything we do in life, our passion as Christians is to do what is pleasing to the Lord. There are many scriptures that you can refer to that support God’s will for your health and happiness which do not include abuse to our “temples”. Addiction to food and lifestyles that place us at risk for bad health must be avoided. 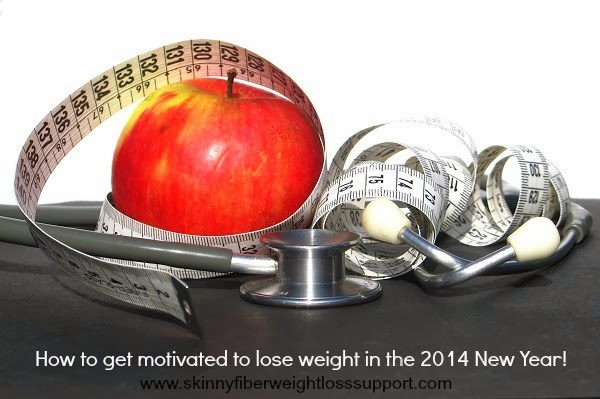 Turn to God in prayer for the motivation, strength and consistency needed to lose weight in the 2014 New Year. People will naturally resist change, even when that change is good for them. That includes weight loss. Learning how to change is a key component of learning how to lose weight this year. It starts with breaking old habits. Before you decided to lose weight, you had habits that made you overweight in the first place. Those habits might be eating habits such as eating highly processed foods or drinking too much soda. They might be lifestyle habits like not going to the gym or failing to exercise on a regular basis. In order to lose weight, you must first break the old habits and then form new ones. This is a difficult process. Your mind will want to resist this change because you have muscle memory and thought processes that are predisposed to act in a certain way. While you have the ability to choose a different way of life, you are not inclined to do without a complete and total commitment to change. That is what makes weight loss so difficult. While there is no single bullet to enact lifestyle change, it is a good rule of thumb that it takes three weeks to make or break a habit. Your family will resist change as well. When you want to eat healthy, they will want to eat unhealthy. When you want to go work out, they will want you to watch a movie with them. The key here is to try and encourage your family to do this with you rather than just doing it on your own. Not only will they help hold you accountable, but they will be working towards a common goal with you as well. That will do a lot to alleviate the family pressures. New years weight loss tips wouldn’t be complete without discussing work pressures. Most people spend most of their lives at work. It simply can’t be helped because work is required to make a living. That means you will need to find a way to integrate a healthy lifestyle with your work. The key to success here is to simply avoid going out to eat or keeping snacks at your desk. In many situations, work is on the go, which causes people to grab a Starbucks or drive through. Plan your meals ahead; eat bagged lunches that you make or healthy leftovers that you can microwave. You will be glad that you did. Both meal options are much better than eating out all of the time which can cause you to gain weight in the 2014 New Year. PLEASE PLEASE PLEASE don't wait much longer to order Skinny Fiber and get your free tracking website set up for the 90 Day Challenge. We're all going to work on our 2014 New Year's Resolution to lose weight together through the various pages and weight loss support group. We'll mix it up to make it more fun and add some fitness goals to it. I'm excited to start this 2014 New Year with a fresh start and the advantage of sticking to a weight loss program together. Please make sure to drop me a message when you join the 90 Day Challenge, so that we can connect for weight loss support. Join us for the Fitness Challenge at www.facebook.com/skinnyfiberwholesaledistributor - this is just a personal challenge NOT a contest where we can each work on our fitness goals!